The comprehensive encyclopedia for the DragonFable universe. 1,182 articles created and 1,717 images uploaded since September 2006. 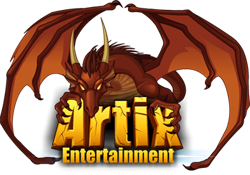 DragonFable Wiki is a community dedicated to the Web-based Flash Role-Playing Game DragonFable RPG, created and updated by Artix Entertainment, LLC. DFWiki aims to provide a comprehensive and accurate store of information about DragonFable that is mostly editable, with the exception of this main page to prevent vandalism. DragonFable requires nothing more than an Internet connection, a Web browser, and version 8.0 or above of the free plug-in Macromedia Flash to play. It is free-of-charge to play. However, players can pay a one-time fee of $19.95 to upgrade one character or $29.95 to upgrade all six characters from a free member to an Dragon Amulet holder in order to receive special in-game perks. We have a new Main Page design. DFWiki's Community Portal has been updated with a slew of information. Our users are currently working on 1,182 articles. It's Mogloween once more! After everything that's happened in the past few years, you deserve some time off to enjoy the holiday! This is the perfect chance to catch up with the Cauldron Sisters and find out how things have been going for them. This week you'll be able to do just that! I know they've been looking forward to seeing you after all this time so it should be a fun and relaxing visit. They've had 6 years to work out all the issues with the candy making process so there shouldn't be any issues at all this year! Zhoom lives in The Sandsea. He is a Ranger and Bounty Hunter who was employed recently by Emperor Sek Duat XV, hunting down members of the resistance, until the Light Orb Saga, the story quest-chain given by him. His mother was a Sand Elf, resulting in pointed ears on Zhoom's account. Zhoom's childhood was not a pleasant one. His mother was killed by minions of Sek Duat XIV when he purged the Sandsea of all sandelves, and he was forced to live on his own. It is unknown what happened to his father. All pages can be edited and you are welcome to join us and contribute to this wiki. If you have any questions about the wiki or helping out, you can ask one of DragonFable Wiki's administrators. You can find a list of useful templates on Category:Infoboxes.